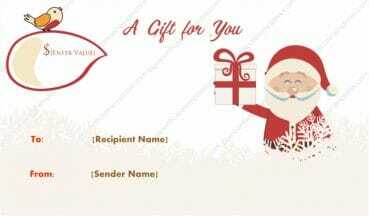 It’s time for Christmas once again, and the many other wonderful holidays that follow. 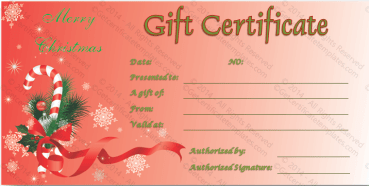 Are you looking to purchase a gift certificate for a loved one, coworker, or neighbor? 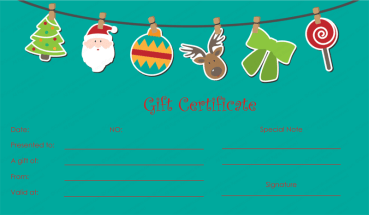 Perhaps you may be in the market for an award certificate for an employee, or maybe looking for a festive way to give those Christmas bonuses. 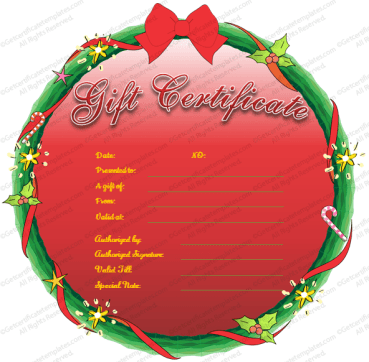 Whatever the answer, you can choose from this array of templates with their various holiday designs. 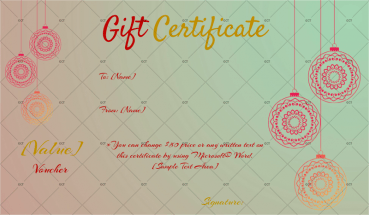 This design in particular is a very formal yet simplistic design that can be used in many different people in your life. 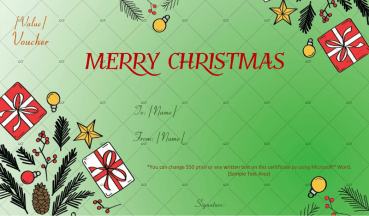 With the traditional red, green, and gold colors of Christmas cheer, along with many message, value, and to/from text boxes, you can add your own, personal holiday flair. 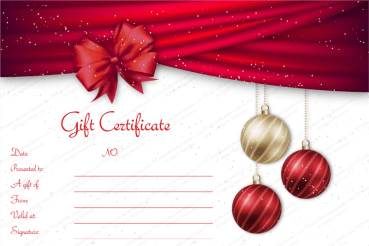 You can still be your generous self while alleviating your shopping stress. 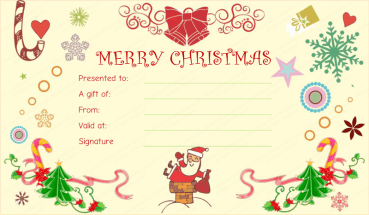 Avoid the holiday chaos and choose a template today.